Wow Karen! You are so spot on about our connection! You've picked up on so many things and taught me a lot about myself and my twin flame and what we are currently working on. I know I will refer to your reading again and again as I continue through this process of reunion. Thank you!" I am so glad I found you Karen! You really understand the twin flame phenomena unlike a few others psychics I have been to in the past. Your reading is amazingly accurate. Thank you for all the wisdom you and your guides have shared! Your reading was awesome! Better than any other reading I've had on my twin flame connection. You really know what you are talking about! Thank you from the bottom of my heart. Karen is highly gifted and intuitive. 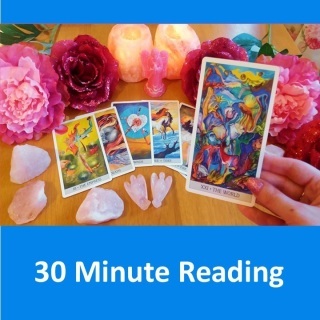 I've had several video readings with her and she always picks up on everything which has been on my mind and puts me at ease. Karen is a lovely, gentle and compassionate reader with a keen eye for detail. Her readings are honest but comforting too, she always communicates spirit's loving messages. I am very thankful for stumbling across Karen on YouTube because I can honestly say that I don't know where I would be right now if it wasn't for her help and guidance. 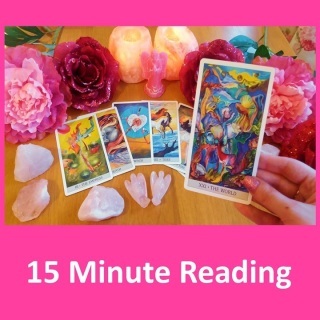 I say book a reading with her because she really has the abilities to assist you transform your twin flame connection into great harmony and can put you at ease along the journey. I was blown away by Karen's monthly twin flame readings I found on Youtube, they felt so incredibly accurate it was almost like she was giving me a personal reading!! Spooky! I immediately ordered a reading with her and I was astounded at her accuracy. She has picked up on MANY things I have never told any living person! It's like she was my higher self talking to me. It was incredible! You need to book a reading with her, you will be blown away! An overview of what's going on in your connection and what needs healing. Advice on how to heal any imbalances to restore harmony within yourself and your connection. Loving guidance and support from your spirit guides. A look into what's going on in your connection, how your twin flame is feeling, what fears and blocks are present and how to work through them and move in the right direction to create more harmony. Loving guidance and support from your spirit guides.